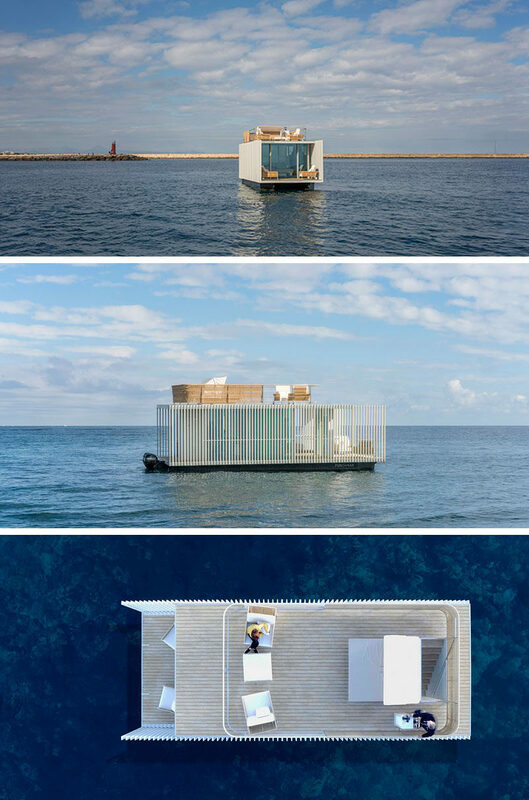 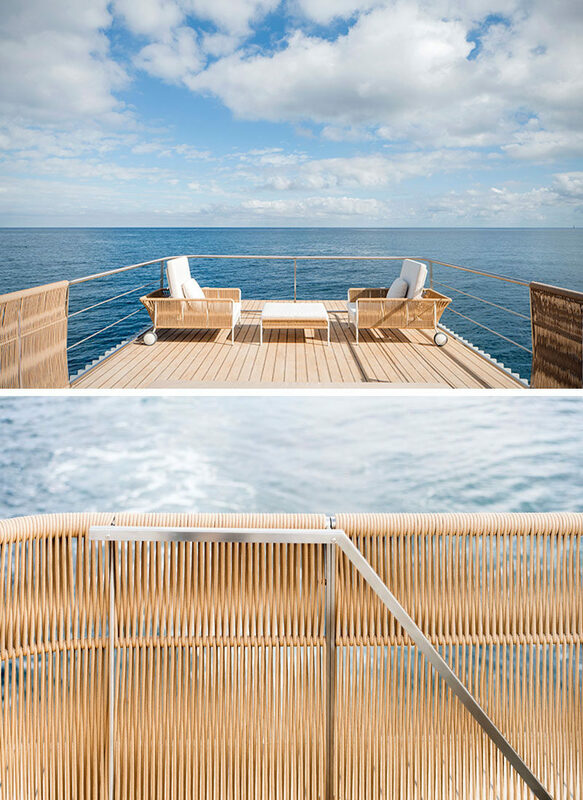 Spanish firm Mano de Santo Architecture & Design have collaborated with KMZero Open Innovation Hub to design and promote “Punta de Mar”, a modern houseboat for two. 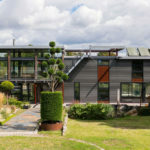 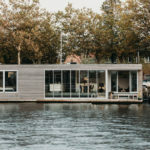 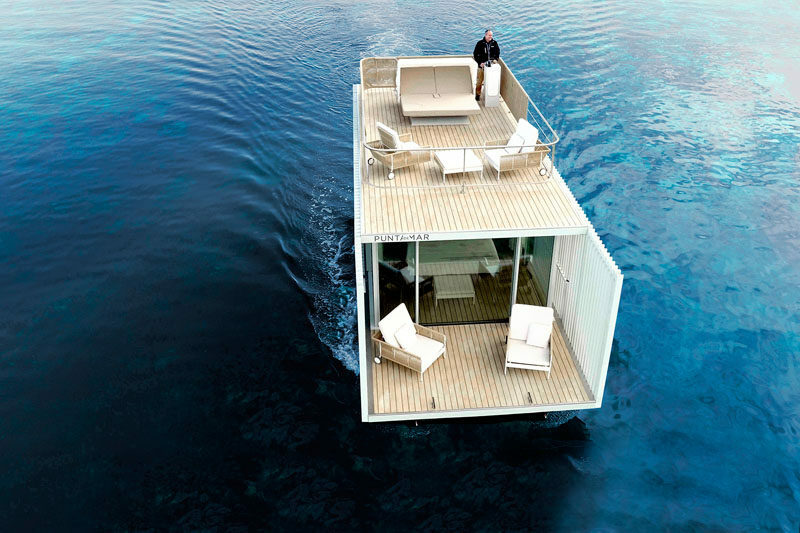 The 796 square foot (74m2) houseboat has a minimalist design with the layout divided into two floors. 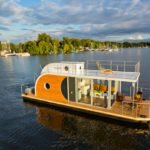 The main floor has a stateroom with bathroom and a private terrace. 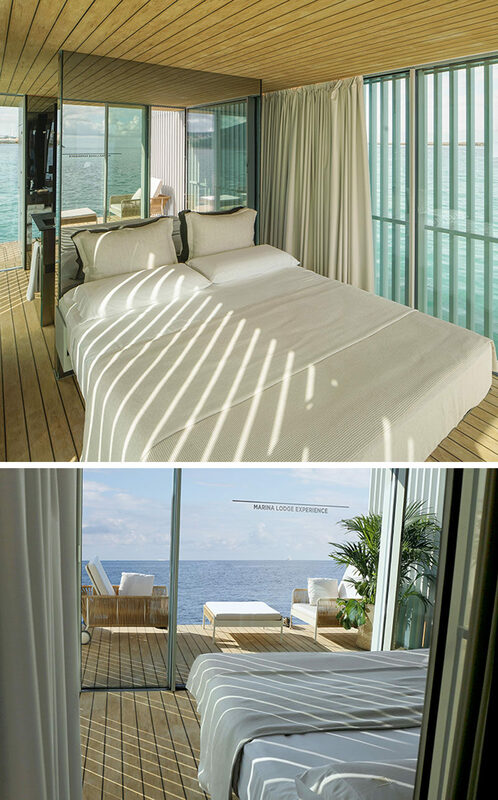 A mirror acts as a headboard and reflects the water views. 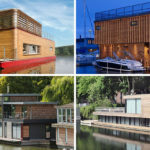 Stairs lead up to the second floor that’s home to a ‘Chill-Out’ deck, designed for relaxation, while both floors of the houseboat have lighting and piped music.